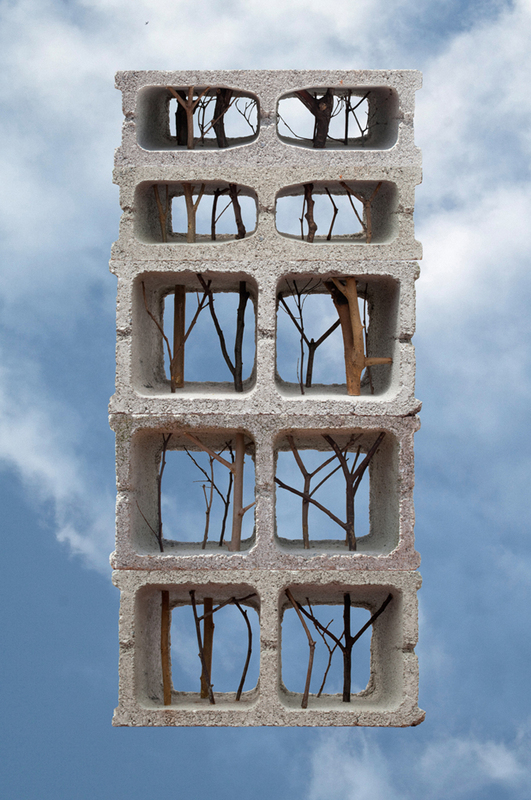 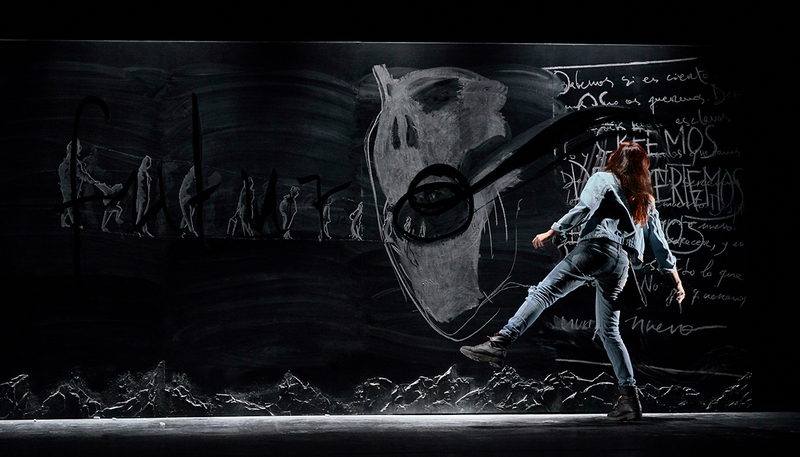 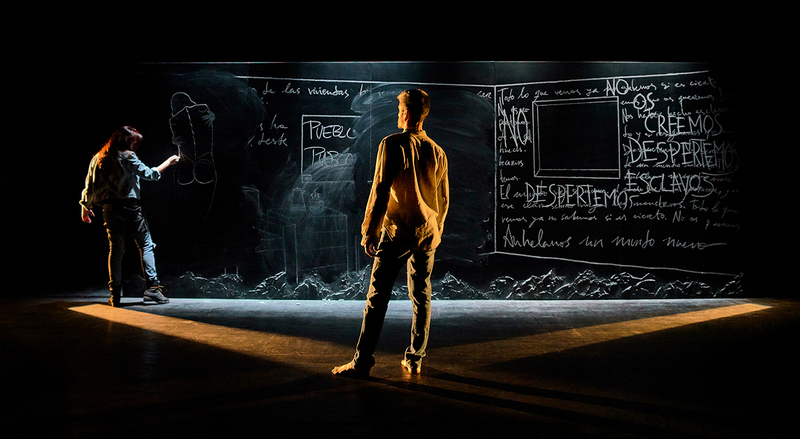 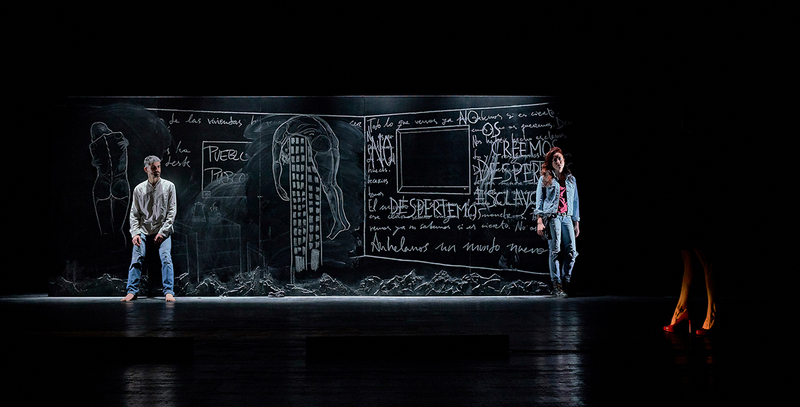 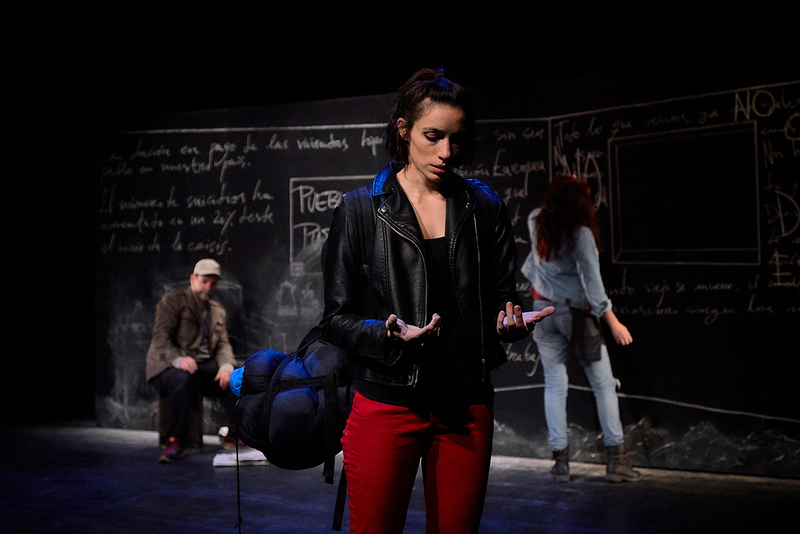 Chalk land is a theatre project directed by Roberto Cerdá. 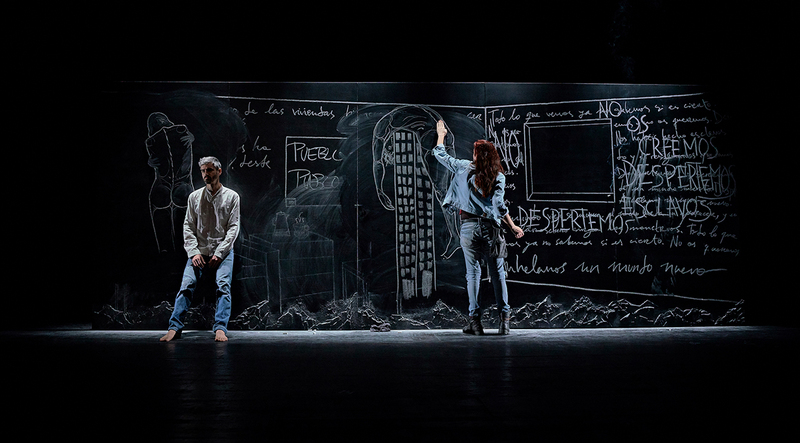 In this project the scenography is based on a board wall, in which I draw during the play the emotional landscape of the characters, being the chalk drawings an alive element. 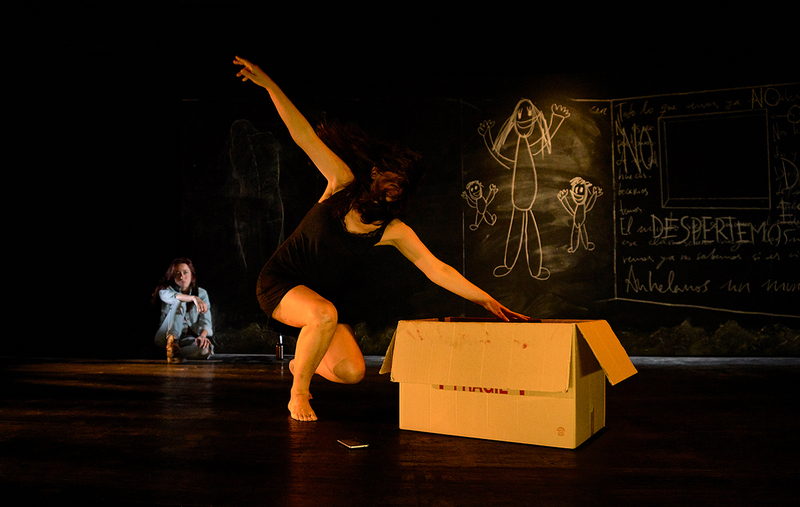 Those drawings are the result of a previous process of visual investigation related to the script and its subtext.